Age three is one of those crucial growing stages for kids, and their parents. Honestly, it's maybe more crucial for the parents because this is the time when they definitely need to accept their baby isn't a baby anymore, it's a toddler that has teeth and can run around. But a lot of parents have a hard time letting the baby go, and this is especially visible when it comes to what they're feeding the child. Kids will always ask for what they're used to, but it's a parents job to keep track of what the kids should and shouldn't eat at a certain age. Which is why we decided to make a list of foods a three year really shouldn't eat. Some are things they've been eating up to this point - but now really need to stop, and some are thing parents tend to introduce at this age but really shouldn't. Some may seem super obvious, but parents out there still feed them, and some are rather unusual and parents definitely weren't aware of them. Either way, knowing these things is of big importance for anyone with a little kid at home. 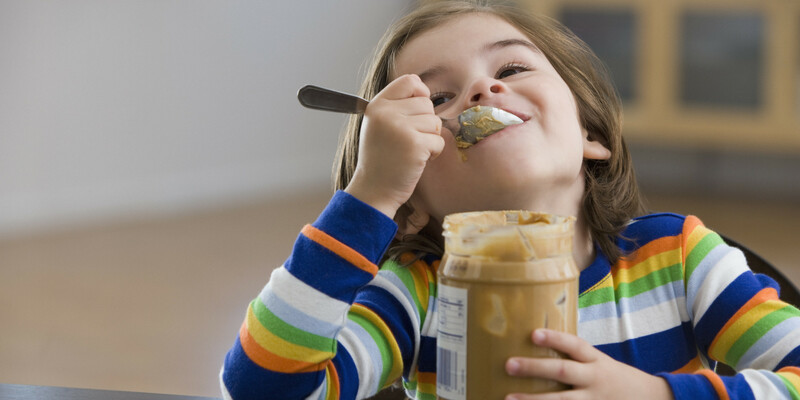 Here they are, 20 things parents should stop feeding their three-year-old! If the kid is three years old, they should definitely not be drinking anything from a baby bottle. They're too old for that, and at this stage where the kid already has teeth, it can be bad for their health as well. And teeth are extremely important, which is why no parents should risk their health. Teaching your child to drink from a glass or mug (or a bamboo cup if you're scared they'll drop it) at the age of three should definitely be possible, as their grip is quite strong, trust us. Just throw the bottle out and let them never see it again! Babies tend to only get very natural, unflavored dishes as food once they have stopped breastfeeding or taking formula. And while that is fine, and young babies shouldn't eat too many spices - or any at all, at the age of three the parents are allowed to experiment a bit more, and make their child's food a notch more flavorful. Of course making sure the spices are safe for a kid, not too hot and spicy, as well as not something the child might be allergic to is very important. And while they may start adding salt at this age, making sure they don't overdo it is important for a child's health as well. If your kid is eating meat everyday at any stage of their life you are doing parenting in 2019 quite wrong. First of all, a lot of meat consumption has been proven to be unhealthy, remember: everything in moderation. Second of all veggies are probably the healthiest food group and teaching your child that every meal should be veggie based from a young age on will only benefit them. And third, the environment will thank you, as meat consumption is a big cause of environmental problems. Raising your child to be aware of this, and to become a conscious meat eater is just part of parenting nowadays. Yeah, puréed food is easy and healthy and a very fast way of making your child eat a nutritious meal. But at the age of three parents really should stay away from puréed food and make sure their child eat solids because it's healthier for their teeth and also, the kid needs to grow up and start eating the normal way. Now of course, this doesn't mean you can't give them smoothies or occasionally purée something they're like, but in general, puréed food should be a rare thing. After all, a three-year-old isn't a baby anymore, and shouldn't be treated like one. Obviously, kids love milk, and if they've been breastfeed or used to take formula, they will need a substitute. And the easiest option is just good ol' regular cow milk. But too much cow milk can, like almost everything else be bad for our bodies. It is true that milk is a very good source of protein, calcium and vitamin D, but honestly, other foods can also provide these nutrients, which is why variation is important. Some studies have even shown that animal proteins in dairy can have a calcium leaching-effect, so ensuring your kid has different sources of calcium intake while they grow is important. 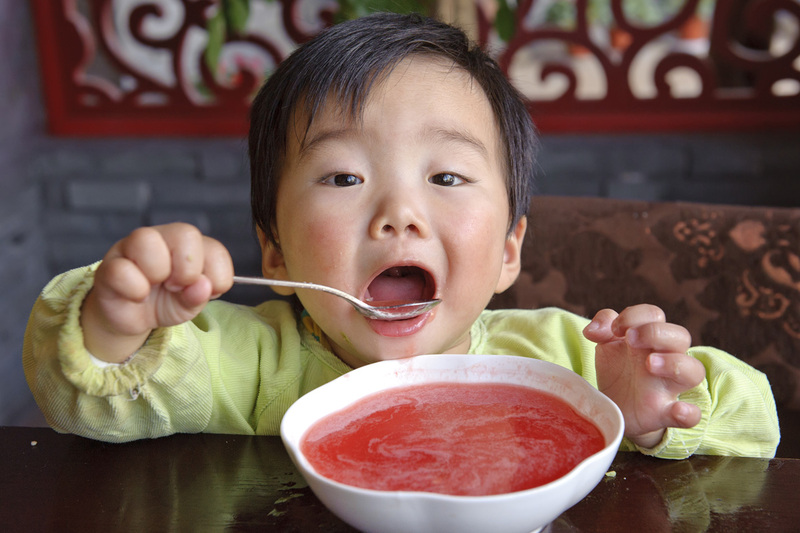 No three-year-old should be fed baby food anymore. 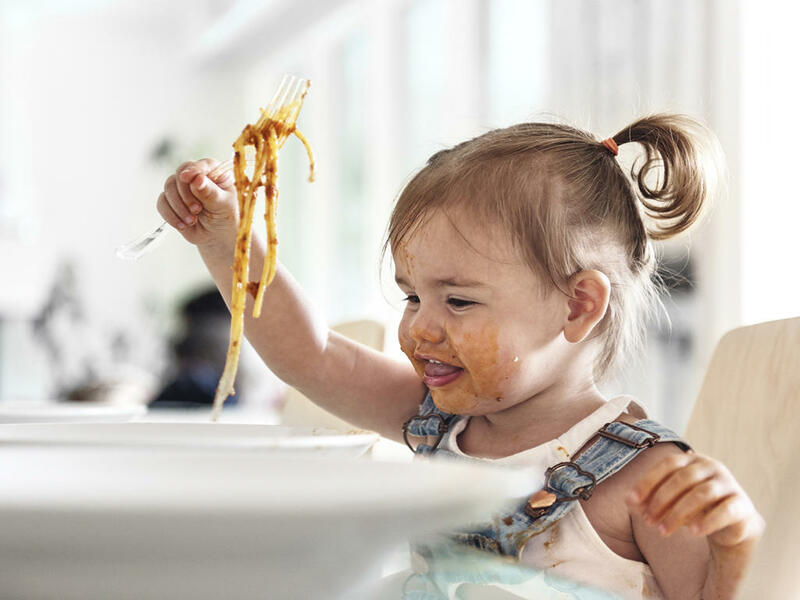 We don't even care what age the food label says, at the age of three a kid is perfectly capable of eating almost everything, and they certainly shouldn't be eating store-bought mushy food. Yeah, it may be super convenient and easy to just give them what they're used to, but parents shouldn't go the easy way, especially not if it is bad for their child's health. Giving them some baby food here and there is acceptable, but please, at the age of three try to cut that out as much as possible. Honestly, at the age of three, it seems pretty reasonable to stop breastfeeding your child (or giving them formula). Now of course, there are some moms out there who believe breastfeeding should be done for as long as possible, but honestly, science isn't too much in their favor. Kids at three have teeth, and breastfeeding can be quite painful for the moms, and not to mention that a child who at three still mainly drinks their mothers milk can end up being malnourished. Of course, at the end of the day its every mother's (and child's) decision, but a child at three definitely needs more in terms of food. Breastfeed and formula fed babies often take additional supplements, but at a time where the child is allowed to pretty much eat almost all food, they should not be taking supplements. At the age of three a kid can get everything it needs through food, which means parents need to be aware of what their child daily needs, and in what food form they will serve it to them. Yup, parenting has a lot to do with nutritional studies. And of course, some kids might still need a supplement, but no parent should give them one without consulting a doctor. Ah, chicken nuggets! Pretty much every kid's favorite snack... and while we love seeing our little ones happily munching on food, giving them chicken nuggets shouldn't be a regular thing. Chicken nuggets are not healthy, no matter what way you put it. They are fried, fatty and often one isn't even sure what exactly is in them. Giving your child some lean, home-cooked chicken instead is a million times better and healthier, and honestly, if you prepare it well they will love it! Leave the chicken nuggets for a once-in-a-while thing, and stick to foods you know the ingredients of. Alright, you're probably wondering what is wrong with giving my child canned tomatoes or preparing something with them. Well according to a bunch of studies the usual supermarket tomato cans have an inside lining filled with BPA - which by now we all know is very bad for us. 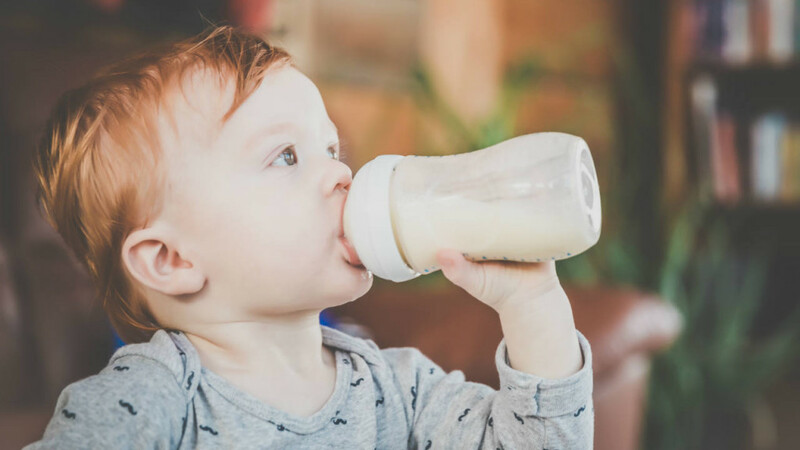 And to make things worse, recent studies have also found that BPA affects young children even more than adults, which is precisely why parents need to be aware of this problem. Making tomato soup or a bolognese pasta from canned tomatoes may seem like a good option, but it could be harmful. There are some brands who forgo the lining and are BPA-free, and those are perfectly safe to consume. Parents need to teach their child that only eating their favorite food every day is not acceptable. Now surely, you can try to find a way for the child to like the food by perhaps preparing it in a different way, and that is fine - but you must under no circumstances accept that they just won't eat the food at all. Kids can be sneaky in this way, and they know how to get to your sweet spot, but it is your job to introduce different flavors and foods to them, and sometimes they will need to eat something because it's good for them, even though they might not bee the foods biggest fans. Trust us, you don't want to raise a picky eater. Kids need a variety of food, and at the age of three you can for sure give them plenty of options, as you should. Making sure a child develops taste for different food, and likes and appreciates the variety offered is only going to benefit their eating habits and health in the future. So while it is is to stick to a few tried out dishes the child likes, parents should definitely try to at least switch things up a bit by changing certain ingredients every now and then. And that is super easy with vegetables because there are so many you can choose from! Okay, don't get us wrong, you can give your three-year-old citrusy food, just make sure it's always in moderation. A mandarin or orange might be a very convenient and healthy snack that your little one loves to eat, but giving them some every day can in long term cause them certain teeth trouble. In particular, the more acidic citruses can erode tooth enamel over time, so making sure you are aware of this is important. If they do love a citrus fruit as a snack, try to switch it every now and then with an apple, mango or banana, your kid's teeth will thank you! 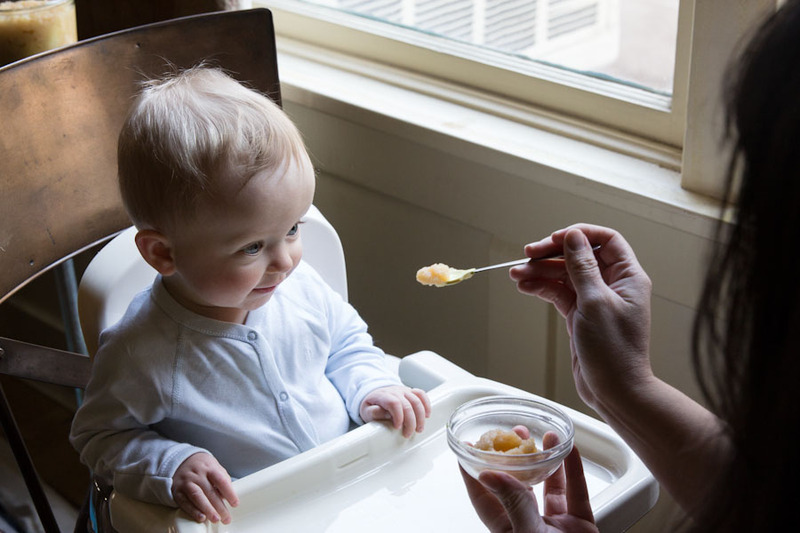 Parents are often quite worried to give their little loved ones harder food to chew, but as we already mentioned, at the age of three a kid has teeth and is perfectly capable of munching on some harder food. Not everything needs to be soft and mushy, That being said, of course, be cautious of the hard food you give them, and always be with them when they eat it. Hard candy or nuts can be potentially risky and kids should never eat them unsupervised. But munching on harder veggies, breads, meats or fruit is totally safe at this point. Crackers and chips are such an easy addiction for everyone, and the longer you wait before introducing them to your child, the better it is for the child's health. Crackers may seem like a healthier option compared to chips, but they are still unnecessary (and quite salty) carbs that a child just does not need. Parents should try to stick to healthy snacks whenever they can, and if they do want to give their child crackers and chips, making sure those are a special occasion thing (and hopefully the slightly healthier kind) is an imperative. 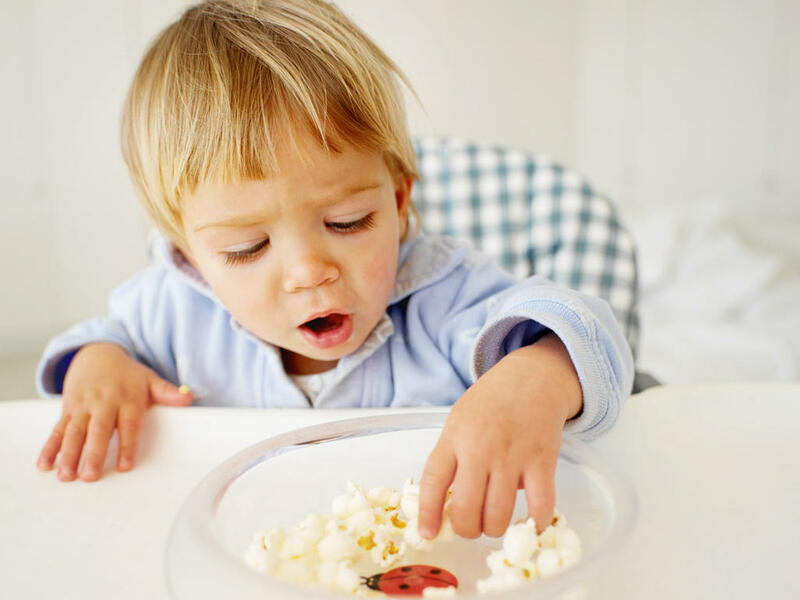 Snacking addictions are developed very early on, and parents need to be aware of that. Too many parents think they are doing their child a favor and feeding them healthy by giving them flavored yogurt as a snack. And while the child is getting some healthy nutrition in terms of protein and calcium, it is also getting a bunch of unnecessary additives and sugar. And this is so easy to fix by just giving your child a healthy, flavor-free yogurt and flavoring it yourself with some cut fruit, maple syrup or coconut flakes. Seriously, the options are endless, and every child will find a combo of toppings they like to eat with their unflavored, yet way healthier yogurt. Kids love cereal. Because it's so darn delicious. And parents love cereal. Because it's so convenient and fast. But at the end of the day, kids need a healthy and balanced breakfast, and honestly, cereal just isn't going to cut it. Most cereals nowadays are just a unhealthy mix of puffiness, colors and way too much sugar. Don't do that do your three-year-old, they deserve better. So instead of picking a unhealthy cereal, look into it, research it, check out the ingredients and give them a more nutritious, healthier kind. Or even better, don't give them cereal for breakfast, give them a healthy variety of food. Some parents still use applesauce as a transition between baby food and regular food and honestly, it's 2019 and they should know way better. Store bought apple sauce is full of additives like preservatives and unnecessary sugars, and no three-year-old should be consuming those in excess. Besides, giving them a regular sliced apple instead should be totally fine. But hey, if you do want to give them apple sauce, just make an apple smoothie, or at least check the ingredients of the store-bought one to ensure you're getting the healthiest possible kind. But honestly, kids don't need a transition food from baby food to regular food. Just skip it completely. 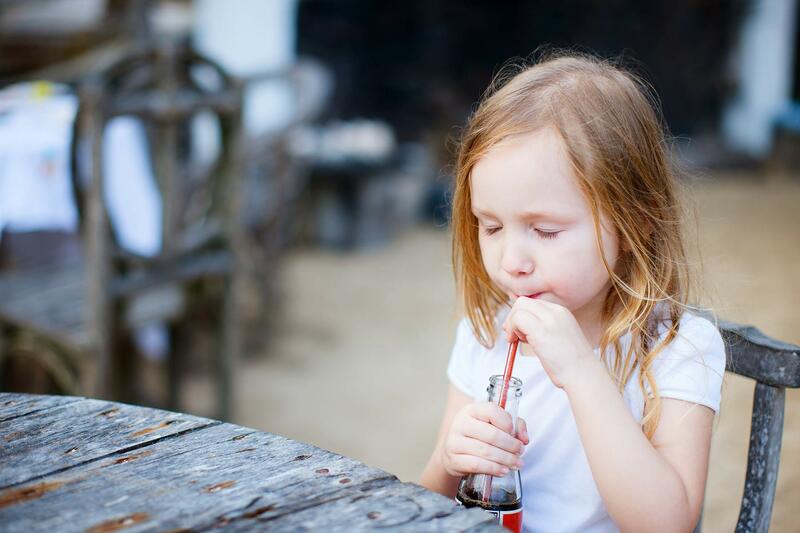 Sugary drinks are honestly never a good idea for anyone, and parents should definitely try their best to let their kids have those as rarely as possible. Especially if the kid is three years old or even younger. Sugar addiction is so easily developed at a young age, and it won't do the kid any good, so sticking no natural, no added sugar juices is the best option. If you don't want to deprive your child of the lovely flavors of a sugary drink, make sure that stays a special occasion thing, and not something they have almost every day. Alright, at the age of three the kid will most likely start requesting unhealthy foods such as cheese doodles, chips, and crackers, whether you tried to protect them from such or not. They will have tried it at a friend's, at kindergarten or at relatives and they will know how delicious this sinful food is. But you know how unhealthy it is so you try to offer them something better instead. Something like microwave popcorn, which is delicious and super quick to make, But microwave popcorn may contain potential carcinogens, which is why no parent in their right mind should give it to their kid. Make popcorn the old school way, in a pot if you need to!